“No tree must die due to starvation of water! If the roots in the sub soil get the desired micro-environment then irrespective of drought and heat wave like conditions on the top surface, the plant would still survive the summers and recover during monsoon. Water is not autonomous, instead it works in sync with soil therefore we need an irrigation system that has water and soil as central to the plant health and growth. Secondly the plant roots need moisture for growth and not flooded water. Considering these two thumb rules I designed the technique ‘SWAR’ that utilizes only 1/3 of water used in drip irrigation. It reduces further when quality of soil improves with high content of humus and carbon,” highlights Mr. K S Gopal, 67, Director, Centre for Environment Concerns (CEC). The NGO is based at Hyderabad, Telangana. SWAR stands for System of Water for Agriculture Rejuvenation. This technique is used in vegetables, fruit trees, flowers and bio-diverse forest trees. Mr. Gopal began his career teaching management and spend decades in rural development. As Member of Central Employment Guarantee Committee and Chair for works on individual farms in MGNREGS, he worked on irrigation and water efficiency. 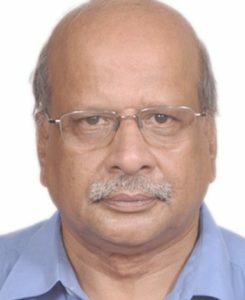 So in 2012, while working as Scholar in Residence at the Tata Institute of Social Sciences, Mumbai, he began working with farmers to define the criteria for “Ideal irrigation architecture suiting horticulture farming in low rainfall drought prone areas”. The process of plant growth is a pure science and he decided to work on the same. “I always wanted to work on improving the efficiency of assets and ‘water’ is one such important asset. 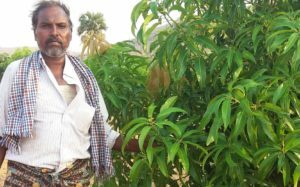 Many people talk about conserving water, recycling water etc but I was concerned most about water efficiency in farming and thus was inclined to design and develop an ideal irrigation system,” he describes the drive to develop SWAR technology. Improving water efficiency is mandatory because ground water level is decreasing day by day and its’ availability is not consistent! “This is the reason we have to use water efficiently. To do so we need an architecture/design of the irrigation system based on key principals,” he says. Sub soil: The water must be fed and utilized in the sub soil root zone area (active root location varies among plant species and their variety). There is no point in irrigating the top surface of the soil like in drip systems because the water on the top surface will be evaporated while roots of the plants are located in the sub soil. Root zone needs moisture: Plant roots would be able to enhance plant growth and yield when it gets a measured moisture-micro-environment in the sub soil. “As plant growth is dependent on the root zone moisture level instead of water quantum applied on the surface, the entire game of water quantum requirement changes to water efficiency. Through SWAR technology we are confident to use only 1/3rd of water that is used in drips. Microbes inoculation: The moisture-micro-environment around the root zone is spread through micro organism movement, using microbe inoculate such as Living Compost or Amrit Mitti. Certainly microbes facilitate capillary action for moisture at root zone level. The moisture also multiplies the microbial activity in the subsoil. Microbes increase oxygen level in the soil, improves the ability of harvesting the available water, storing it and releasing it as per the function of the root suction capacity,” he elucidates. Being moisture centric, the technique of SWAR works on the principle of low-pressure slow irrigation and ideally well served by having an overhead tank. In case of direct supply of pumped water, control levers reduce the outlet volume. To reduce costs as drip pipes have good subsidy component, its’ 16 HDPE pipe are used to convey the water to the plants. To this pipe a dripper is fitted and water is delivered into a moisture diffuser box buried in the root zone area. “The box has a unique material to ensure that roots to not get into the pipe and clog it. From the perforations in the box, water is slowly released to serve as moisture ecosystem. Moisture level and moisture spread is read using moisture meters and is the basis for the farmer to schedule frequency of water application and water quantum to suit the specific soil type and plant species and in different climatic seasons/conditions. The system is simple and installed by the farmers themselves. As the moisture level in the sub soil root zone level is well maintained the saplings grow well and consistently into trees,” he adds. 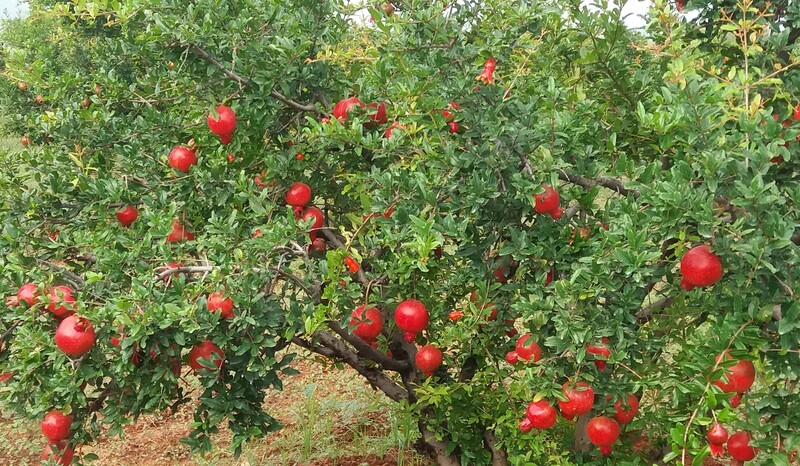 In India thousand of fruit trees die during its peak yield period due to moisture stress. In order to protect the trees during water scarcity especially during summers, “We bring down the moisture level to 10% so that trees are able to live through the tough times and revitalize during monsoon. Trees are amazingly capable of surviving the odds but just give them that little support of moisture,” affirms Mr. Gopal. Recently the system has been installed for 10,000 vegetable plants, 4500 trees of five different fruit species and 500 multiple forestry tree species in arid regions where farmlands were left barren for past few years due to water scarcity. The cost for one unit of SWAR is Rs 30-35. Newly planted fruit trees require two units, grown up or ready to bear and fruiting trees need four units while vegetables need on unit per plant. SWAR staff will advice and guide farmers on the location of the moisture diffusers in the subsoil based on soil type and species. Immediate plans are to work on multiple fruit trees having distinct root features such as shallow roots to deeper roots, clone variety to grafts to desi seeds variants and so on. “Every plant has different root system and we want to work with all. By next year we might be able to get low cost moisture detecting embedded sensors to maximize plant growth and water use efficiency. This will help farmers to not be worried as otherwise they are anxious as they cannot see water on the surface to which they are so used to. With a strong set-up of technology on root systems and their requirements we shall expand our business to other states. Presently our focus is on Andhra Pradesh and Telangana,” he reveals. Mr. Gopal concludes, “Our primary aim is to promote water efficiency in farming. Secondly with SWAR we not only enhance the production but also improve soil and root health by multiplying microbes in the soil. This technology is the concrete solution to cope with water scarcity without incurring the loss on production. In our country we need many such science based techniques to solve farming related problems. If done then we shall have consistent production in agriculture, our economy will flourish and farmers reduce risks and increase their incomes.